Erich von Däniken -  An epic journey of new discovery so fantastic that our natural instinct would be to block it out. 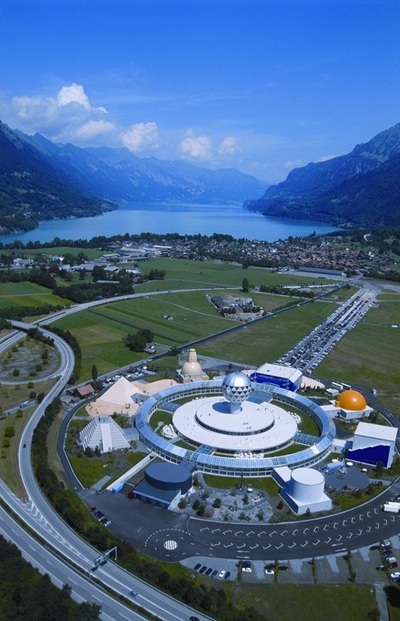 For over 45 years, Erich von Däniken has pursued the theory which postulates that Earth might have been visited by extraterrestrials in the remote past. Erich von Däniken, the world's most successful non-fiction writer of all time, has written 55 books and e-media on the topic and has sold over 65 million copies worldwide. His books have been translated into 32 languages. 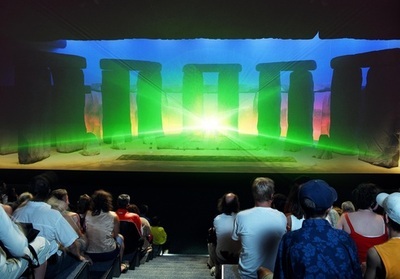 In the United States Erich von Däniken won instant fame as a result of the television special "In Search of Ancient Astronauts," based upon his first book Chariots of the Gods. 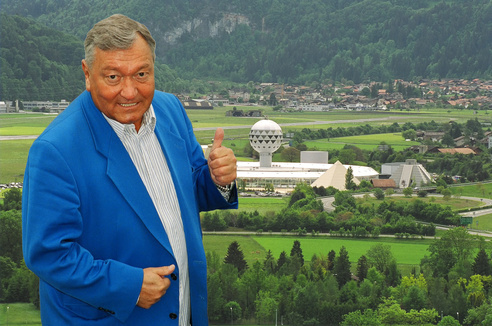 In addition, Erich von Däniken has participated and contributed in numerous film and TV productions, has written countless articles and compilations, and produced a CDRom. Fluent in four languages, Erich von Däniken is an avid researcher and an energetic traveler, averaging 100'000 miles per year to visit remote places of the Earth. ​This enables him to closely examine the phenomena about which he writes. His research organization, theA.A.S. R.A. / legendarytimes.com (Archaeology, Astronautics & SETI Research Association), comprises laymen and academics from all walks of life. Internationally, there are about 10,000 members. Click here to get FREE INFORMATION about the A.A.S. R.A., Erich's research organization!. The A.A.S. R.A. publishes Legendary Times™, the organization's quarterly journal. It is the only publication in the world to exclusively report about Paleo-SETI, the Ancient Astronaut theory. The breakthrough book that was immediately recognized as a work of monumental importance when it first introduced the theory that ancient earth had established contact with aliens. Ancient Astronauts / Von Däniken's popular books. Erich Von Daniken, starting with his popular Chariots of the Gods, sold over forty million books presenting his theories that the Earth was visited by extra-terrestrials some 10,000 to 40,000 years ago. While they were here, he suggests, they built the great pyramids in Egypt, laid down air fields that can still be seen today in Peru, and interbred with early humans to produce Homo sapiens. As evidence Von Daniken points to the countless legends seen in cultures around the world that tell of winged gods or flying machines. These were inspired, not by flights of fancy in the teller's mind, but by actual visits down through the ages of aliens with their advanced technology. For more tangible proof Von Daniken points to archaeological oddities found around the world. He suggests that Egyptians could not have built the great pyramid of Cheops without access to advanced technology and it is no coincidence that it's height, when multiplied by 1,000 million, is the distance from the Earth to the Sun. He also claims the famous mysterious lines in Peru's Nazca Plain are an alien airfield and that their unerring straight path for miles, even over mountains, could only be achieved if their building was directed from the air. As intriguing as the idea of ancient astronauts might be, Von Daniken's "evidence" is less then convincing when examined closely. The great pyramid's height is not a 1,000 millionth the distance to the sun. Archaeologists have found evidence that simple techniques like barges and earth ramps were used to build the monuments of ancient Egypt. Straight lines, like those found at Nazca, can be made by simply planting two sticks in the earth, using them to line up a third, and then repeating the pattern for any distance needed. As for his theories that the astronauts mated with human beings, it seems unlikely that visitors from space would be so biologically close to humans that they could interbreed. Also DNA evidence seems to suggest all human beings alive today can trace their ancestry back to a very small group of pre-humans living in Africa some 100 thousand years ago (It is fair to note this information was not available when Von Daniken wrote his books). If this is true any genes introduced by visiting aliens have not survived to modern man. Of course these discrepancies don't prove that Earth wasn't visited by ancient astronauts, but it is unlikely such an astounding claim will be accepted without some equally astounding proof (Like a 23rd century watch found on the wrist of a recently unearthed mummy). Strangely enough some scientists have speculated that we may indeed had ancient extraterrestrial visitors, but they didn't wear shiny suits or arrive in flying saucers. Discovery of a meteorite from Mars that contains what looks like fossil microbes have led some experts to suggest that if Mars did have life some of it may have traveled here via a rock blasted out of that planet when the planet was struck by a large asteroid. While objects found in this Mars rock are definitely dead, there is speculation there maybe other microbes that could have survived the journey. If so, they could have influenced life on Earth. Von Daniken isn't the only one suggesting that the Earth had ancient vistors. Robert Temple wrote a book called The Sirius Mystery about an African tribe called the Dogon and their beliefs about astronauts named the Nommos. Experience Switzerland in all its facets, explore the mysteries of the world, or discover the exotic flora of the tropics. 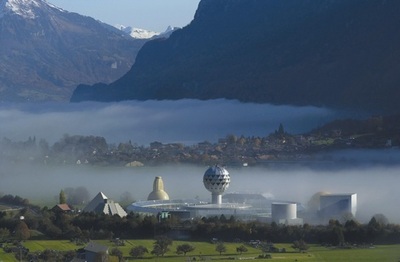 The theme parks of the Interlaken holiday region are astonishingly diverse. So set off on a voyage of discovery and rediscover your capacity to be amazed. Part of the UNESCO World Heritage. At the Jungfrau-Aletsch Miniature Arena you’ll have an opportunity to overfly the Alps on a virtual flight. The Mysty Land with its range of indoor and outdoor activities has lots of attractive offers for children. 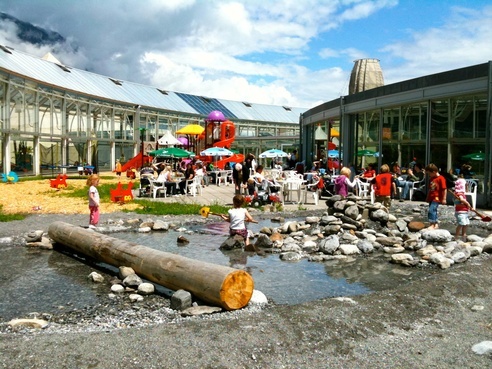 A trip to the Jungfrau Park is always rewarding, whatever the weather.The all-weather offer is a pleasure for all the family.